Vernazza photo frame clock. 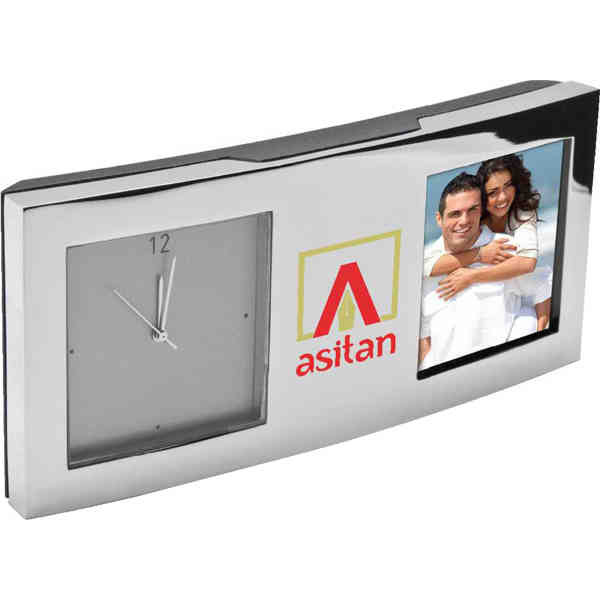 Analog clock with stylish curved design and polished chrome finish. Second hand. Accommodates a 1 3/8" x 1 3/8" photo. Battery included. Size: 1 7/8 " x 4 1/4 " x 3/8 "